Writing this “gross history” was SUPER FUN! The Egyptians did some really weird things for sure, but they were also innovators. They had surgeons long before anyone else in the world, and they had the world’s first navy! 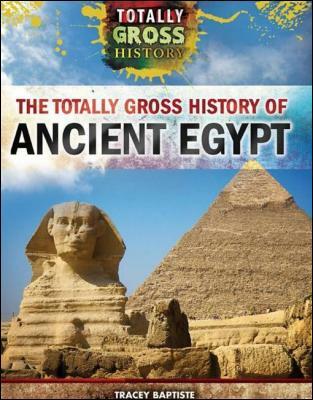 This fun history is great for anyone interested in Ancient Egypt in all its glorious grossness! Young readers can learn about the life of this amazing world leader, starting with his family and home life as a young boy, to his journey to become a lawyer, and his fight for justice in his South African home. It was an honor to work on this book. 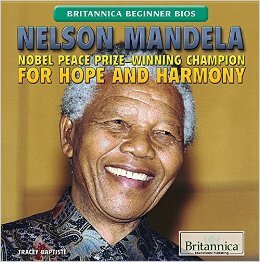 Mandela is someone I have great admiration for. 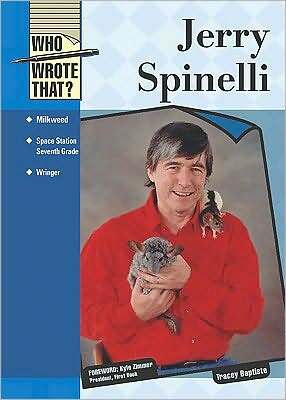 Jerry Spinelli is a legend in the teaching world, and in the Young Adult market but you wouldn’t know it from talking to him. His incredibly down-to-earth manner makes him someone you’d really like to hang out with. It was a lot of fun writing this biography, and it was a real pleasure to read his books, some for the first time, and others for the second. MANIAC MAGEE is my favorite of his books. 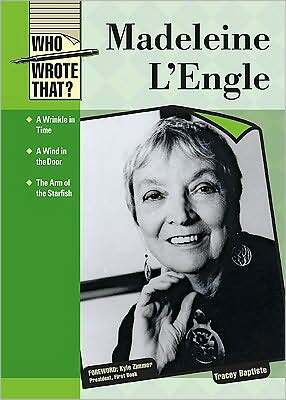 I first came across Madeleine L’Engle reading A WRINKLE IN TIME as a young girl. It begins “It was a dark and stormy night,” which has become cliche, but the story that followed broke new ground for science and young female leads. The creature called IT was essentially Dark Matter, and scientists had not even discovered that, or black holes when WRINKLE was first published. 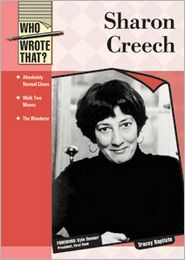 While writing this bio of Sharon Creech, I came across her twitter account and promptly became a follower. She had just started tweeting, and followed me back. I was so excited! I sent her a direct message to let her know that I was writing a biography on her and I asked if she would do an interview. Minutes later, she unfollowed me and I am still skiddish about talking to a big name author to this day! When I was asked to write Stephenie Meyer’s biography, I knew nothing about the Twilight series. There were plenty of articles about Meyer, but no books. I’d like to think that this one is the very first! 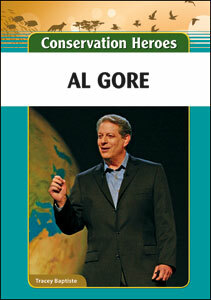 This Al Gore biography sent me into a research whirlwind. There is so much information about him with so many disparate views. Everyone has an opinion. It was difficult to get to just the facts without all of the overly negative or positive commentary. Everyone is looking for good leadership in their countries, their communities, their schools and their jobs. It’s important to know how to be a good leader, as well as how to recognize a good leader. 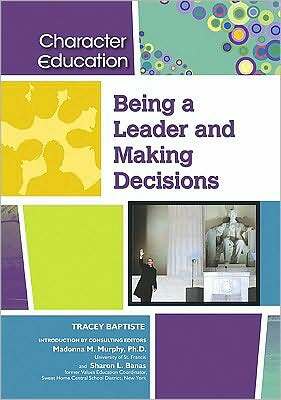 In this book, I explored the concept of leadership with examples of different kinds of leaders, and how leaders have changed with changing times, and to suit the needs of different communities. Though I enjoyed writing OVERCOMING PREJUDICE, I was dismayed when the editors decided to leave out a large segment of the population that is discriminated against: The LGBT (Lesbian, Gay, Bisexual and Transgender) community. While we may not all agree with the way people live their lives, I think we can all agree that the GLBT community does in fact face a tremendous amount of prejudice, and I had hoped to include that in the book, writing about the Stonewall Riots as well as a pair of men who met as rivals, one discriminating against the other in a violent display, and then years later, became friends who talk about diversity and the adverse effects of discrimination. 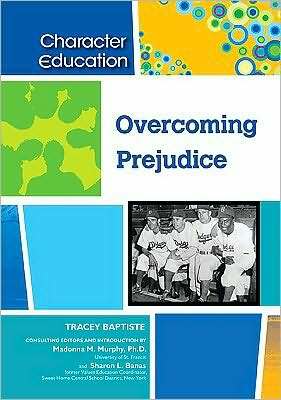 Nevertheless, OVERCOMING PREJUDICE does cover what students can do when they encounter prejudice in their lives, whether directed to them or to others.